Commercial building on 1 Acre lot. Convenient center of town location on Historic Main Street. 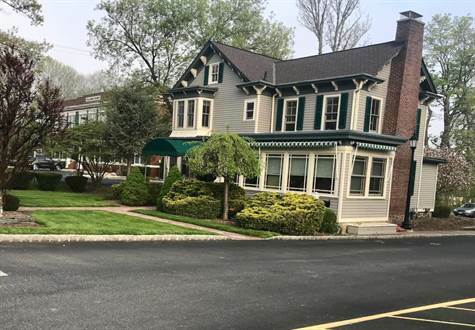 Renovated building w/ 2 tenants in place roofing company offices and Real Estate office. Large rectangular lot 85’ X 500’ affording Possibility of expansion or addition of new building on property. Buy your future and let your business grow!